Global fuel cell electric vehicle market share is projected to surpass 300 thousand units by 2024. Increasing research activities will pave the way for emerging technology and simultaneously reduce the product cost. Continuous technological developments along with OEMs investing in increasing production level to achieve economies of scale will result in price drop. Continuously increasing demand for advanced automobiles will boost the fuel cell electric vehicle market size over the projected timespan. 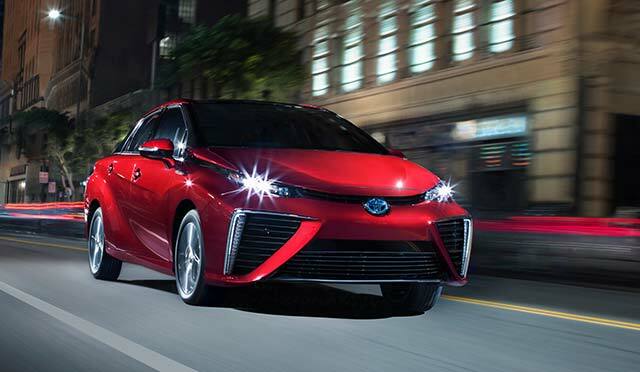 Fuel Cell Electric Vehicle Market size is anticipated to surpass USD 9 billion by 2024; according to a new research report by Global Market Insights, Inc.
Several government initiatives are supporting transition of conventional automobiles to zero emission automobiles. Government funding is speeding up R&D and number of hydrogen refueling stations. Government incentives can effectively bring down the price ranges by manifesting reduced taxes on such automobiles thereby driving the fuel cell electric vehicle market size from 2017 to 2024. Long distance travelling range along with short refueling time offers superior customer convenience thereby supporting the fuel cell electric vehicle market growth. Moreover, vehicles possess superior energy density of hydrogen storage units compared to conventional batteries. Less number of accessible hydrogen stations for refueling is the major factor limiting the industry growth rate. Prohibitive product cost poses challenge to fuel cell electric vehicle market share over the forecast timeline. North America fuel cell electric vehicle market size was approximately worth at USD 173 million in 2016 and is anticipated to pose a CAGR of 41% over the forecast time frame owing to the presense of well-established players in the region. Moreover, strict rules and regulations along with government funds is boosting the industry size over the study period. Introduction of nascence technology is witnessed to be expensive and time-consuming process in the industry. Players consider public private partnership as the appropriate structure to aid technology shift. Industry players focus on investing in improving the competitiveness of fuel cell electric vehicle and initiating a wide refueling infrastructure.